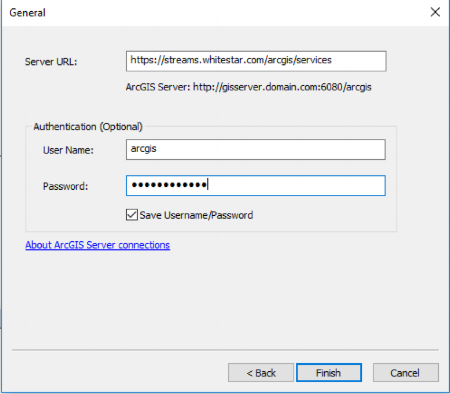 In the dialog that opens add https://streams.whitestar.com/arcgis/services in the Server URL box. Then put in the User Name and Password that was supplied to you by WhiteStar. Services you have credentials for will be displayed in ArcCatalog once you’re connected.